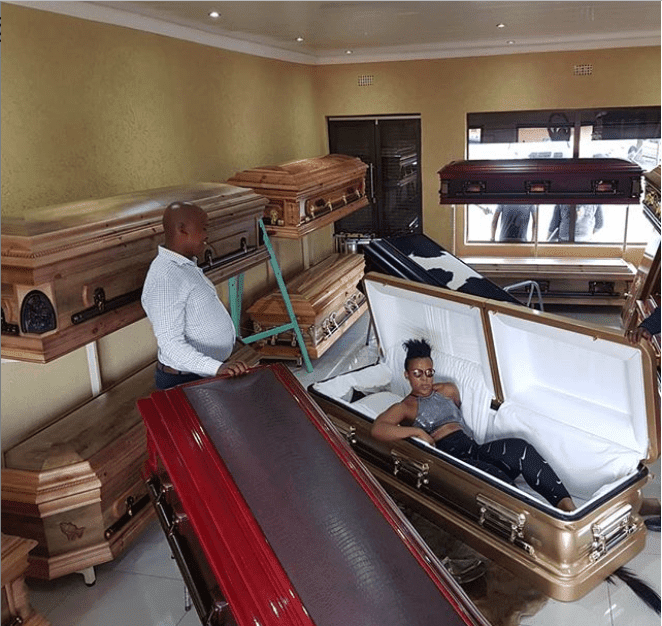 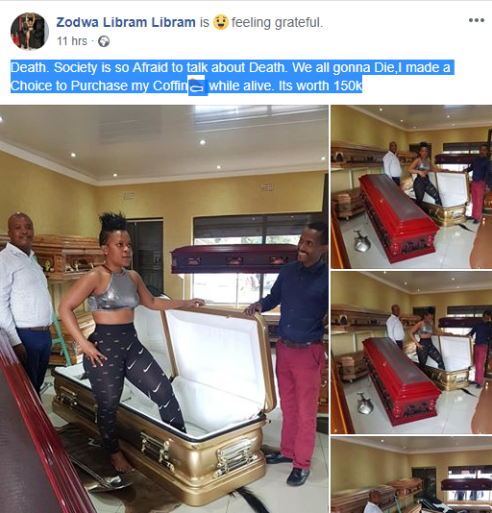 A South African Lady has decided to prepare before death knocks by buying herself a brand new coffin. 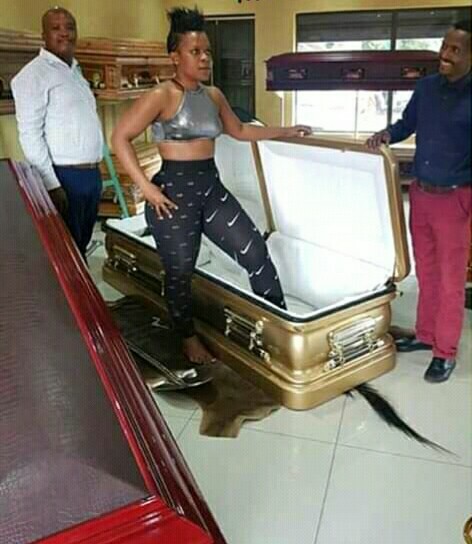 South African ‘pantless dancer’ Zodwa Wabantu made a choice to purchase a coffin worth #150,000, as a way of preparing for burial before she finally kicks the bucket. After all, we will all die one day, so I made a choice to purchase my Coffin she says.